Miles Davis: Horn player, bandleader, innovator. Miles was a singular force of nature, the very embodiment of cool. 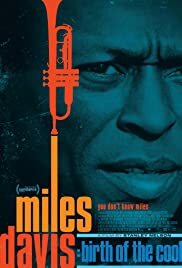 The central theme of Miles Davis' life, and of this film is Davis' restless determination to break boundaries and live life on his own terms. This documentary feature explores archival photos and home movies shot by Miles and his colleagues, his manuscripts and Miles' original paintings, to explore the man behind the music. Featuring interviews with some of the most well-known musicians on the planet, including Jimmy Cobb, Lee Konitz, Herbie Hancock, Wayne Shorter, Ron Carter, Carlos Santana, The Roots, and Flea of the Red Hot Chili Peppers; the film explores why Miles continues to be a relevant voice in today's world.